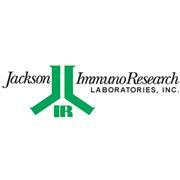 Detect ICAM-1 using this Anti-ICAM-1 Antibody, clone W-CAM-1 validated for use in FC, IH(P). The SESN1 antibody from Proteintech is a rabbit polyclonal antibody to a fusion protein of human SESN1. This antibody recognizes human,mouse,rat antigen. The SESN1 antibody has been validated for the following applications: ELISA, WB analysis. Anti-Human Clone: LN-3 Isotype: mouse IgG2b Applications: Immunohistology This antibody reacts with the HLA-DR surface antigen on B and T lymphocytes.